Amazon's threats to scale back job growth over Seattle's proposed "head tax" on larger businesses have ratcheted up debate over the tax, which would raise $75 million a year to address homelessness. 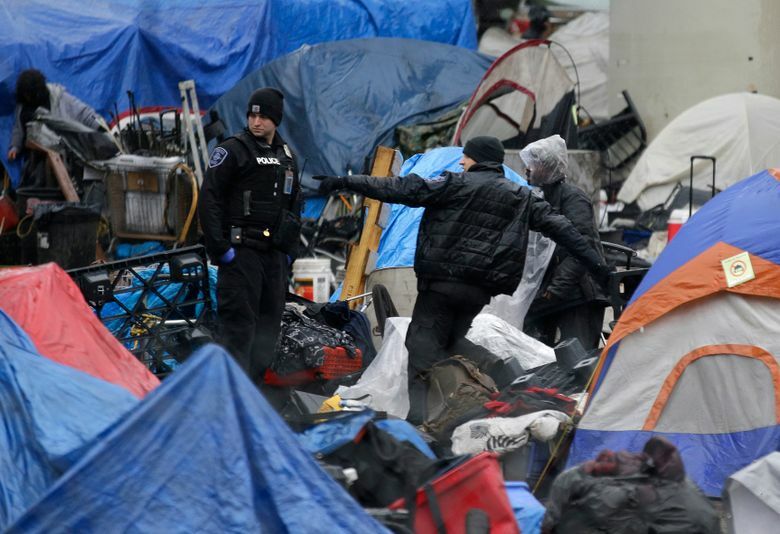 Amazon is suddenly playing hardball when it comes to Seattle’s proposal to enact a so-called head tax on major employers, aimed at raising $75 million a year in additional cash to tackle the city’s homelessness crisis. Last week on The Overcast, we heard from a sponsor of the controversial tax, Seattle City Councilmember M. Lorena González. On Episode 79 of the podcast, we’re joined by Jon Scholes, president of the Downtown Seattle Association, who offers a counterpoint. Scholes argues the tax is bad policy on the grounds that it would discourage job growth, and because it lacks an effective plan for how the money would be spent. “The City Council has been spending more and more on this issue every year and we’re seeing more and more people outside … so we think their approach needs to be revisited,” Scholes contends to this week’s podcast co-hosts, Seattle Times political reporter Jim Brunner and KNKX’s Simone Alicea. Scholes says the City Council and Mayor Jenny Durkan ought to pull back the head-tax plan and look to a regional solution under development by a coalition including Durkan and King County Executive Dow Constantine. “We need a countywide strategy,” he says. Scholes also responds to questions about whether Amazon can really be viewed as overly burdened by the tax, given the company’s soaring profits, and owner Jeff Bezos’ recent statements that he can’t think of any better way to spend his fortune than on space exploration. It’s a timely back-and-forth on the hottest issue facing Seattle leaders. Tune in! This week’s episode was recorded at the Seattle studios of public radio 88.5 FM KNKX as part of an ongoing partnership. Support the locally owned, independent journalism that makes this podcast possible. Visit seattletimes.com/support.